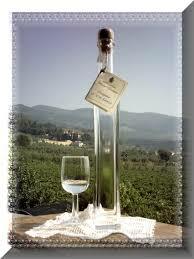 iStill distillation program for Easy Grappa! Set End Temperature of Run on 97 degrees C.
The iStill 50 heated up to a boil in about 45 minutes. The column heated up in another 20 minutes. The Fores faction was then taken. Very, very small. About 10 mls. After that the Heads Removal stabilization kicked in. The column stabilized for 40 minutes and Heads were then collected at 96% during 20 minutes. Around 1 drop per second, giving us just 100 mls of Heads. We threw away the Fores, but kept the Heads in the Feints Container. After another 20 minutes of Pre Production stabilization, Hearts were thrown out at a high pace. In a bit over an hour, we collected 4 liters of 60% strong Hearts. The Hearts were stopped when the temperature reached 97 degrees at column entree level. Finally, we collected 0.5 liters of Tails that were added to the Feints Container. Three liters of Hearts are ageing on some spent JD Staves. One liter is diluted to 45% for first taste notes. First taste impressions on the freshly distilled Raisin Brandy? Very big, yet clean Hearts cut, with a medium strong taste of raisins. No Headsy or Tailsy components detectable. Tomorrow, after a few treatments of forced ageing, we will do another taste test on the unoaked Raisin Brandy. The 3 liters we put on oak, will stay there for about a month. I think the menu settings and program choices mentioned above make for a great whiskey as well. Maybe bigger Heads & Tails cuts are needed. That’s my gut feeling, since grain washes seem to be less clean than this Raisin Brandy wash. So that’s what we will do next! Give you a recipe for a great pot distilled whiskey! PS: these menu settings and program choices on the iStill 50 can be translated one on one to the iStill 250. If you take a 140 liter Raisin Wine wash, you will end up with approximately 40 mls of Fores, 400 mls of Heads, 16 liters of 60% Raisin Brandy, and 2 liters of re-usable Tails.